First time on market since 1976. A lovely family flourishing from here. 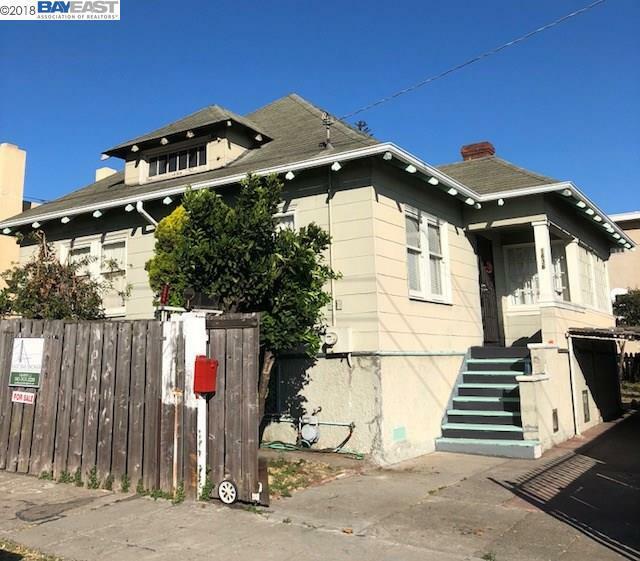 Spacious affordable home in San Antonio Neighborhood near Lake Merritt. Needs update. Lots of fruit trees. No inspection report. Den could be guest room. Possible wood flooring under carpeting. Perfect for first time home buyer / handyman / Investor. With your magic touch, will be a gem. Quick and easy access to Highway 580 & 880, bus and Bart nearby. Only minutes to city. Walk to restaurant and shopping.